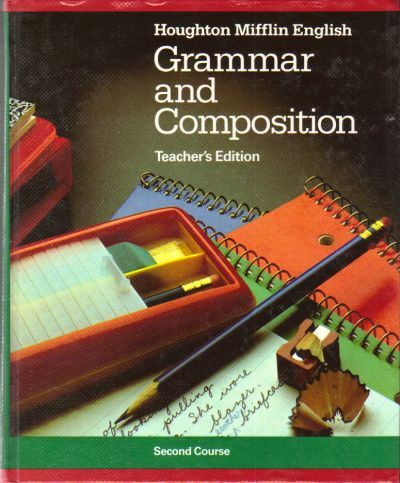 Description: HOUGHTON MIFFLIN English Grammar and Composition Second Course TEACHER'S EDITION, copyright 1984. Contains a 78 page teacher's section in the front of the book, followed by 616 pages of the student book, with teacher's information (answers, Resource References, etc) in the side margins. 1984 edition. Appears to be unused from a teacher "Sample Kit." Minimal shelf wear. Sound Binding.